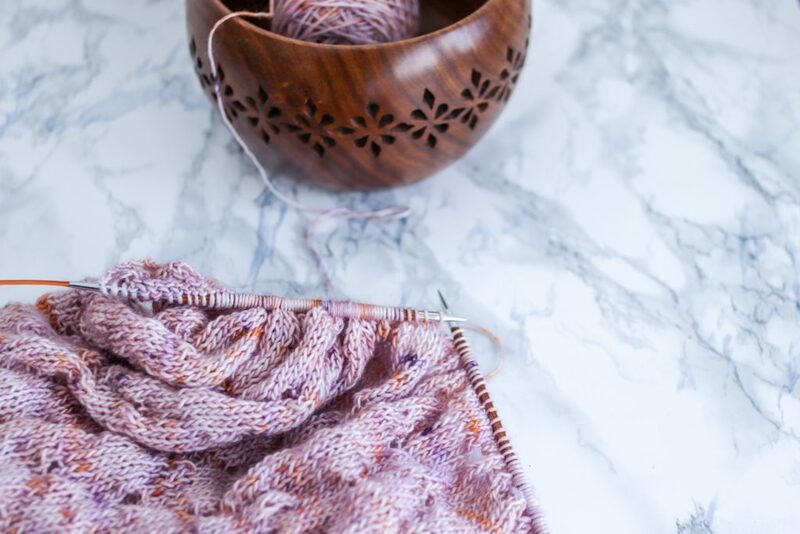 I have a deep love for single yarns and speckled yarn. Why? Oh, I’m glad you asked. To keep things sweet and short, I’m mesmerised by it. Single yarns have the tendency to shine and bounce more than plied yarns. Even if it’s plain wool, merino in this case. And it’s so soft! Like a bunny hug, or a warm bubble bath. Speckles are my dope. I can’t even tell you how much I love slightly speckled yarns (heavy speckles are not my jam however, think that instead of that). 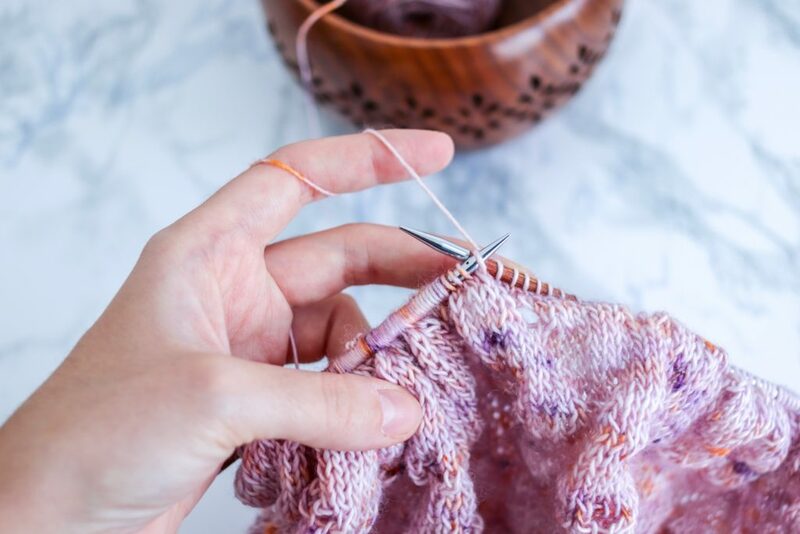 It’s so addictive to knit with speckled yarns, you always want to find out when the next speckle will pop onto your needles. Or where it will land on the stitch pattern. Or if it will line up with all the other speckles. And these sweet bundle of stitches on the needles. How could anyone resist falling in love with it?